South Perth is a residential suburb 3 kilometres (2 mi) south of the central business district of Perth, the capital of Western Australia, which adjoins the southern shore of Perth Water on the Swan River. 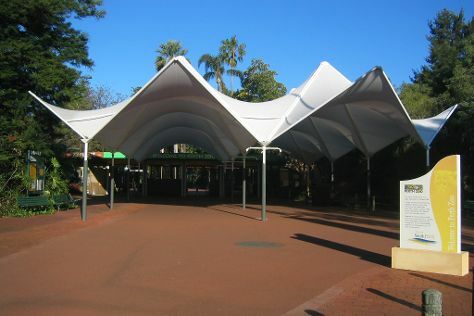 On the 23rd (Sun), try your luck at Crown Perth and then learn about wildlife with up-close encounters at Perth Zoo. To see photos, reviews, traveler tips, and tourist information, read our South Perth online trip planner . Kuala Lumpur, Malaysia to South Perth is an approximately 12.5-hour flight. Expect cooler temperatures when traveling from Kuala Lumpur in June; daily highs in South Perth reach 23°C and lows reach 9°C. Cap off your sightseeing on the 23rd (Sun) early enough to go by car to Perth. 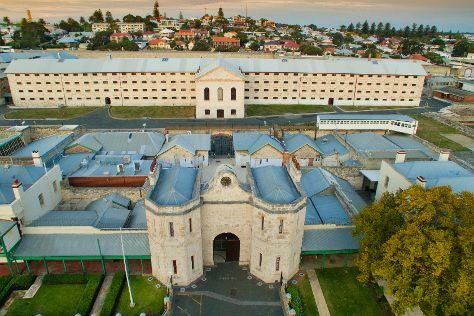 Your inner history buff will appreciate Fremantle Prison and The Perth Mint. Take a break from the city and head to Swan River and Cottesloe Beach. You'll find plenty of places to visit near Perth: Penguin Island (in Rockingham), Caversham Wildlife Park (in Whiteman) and Dolphin & Whale Watching (in Mandurah). There's lots more to do: admire the natural beauty at Kings Park & Botanic Garden, enjoy the sand and surf at Scarborough Beach, pause for some serene contemplation at St John's Anglican Church, Fremantle, and tour the pleasant surroundings at City Beach. You can plan Perth trip in no time by asking Inspirock to help create your itinerary. Perth is very close to South Perth. In June, daytime highs in Perth are 23°C, while nighttime lows are 9°C. Wrap up your sightseeing by early afternoon on the 28th (Fri) to allow time for travel back home.